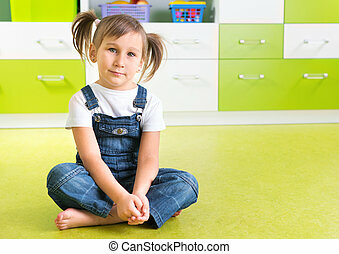 Asian girl sitting on corridor floor. 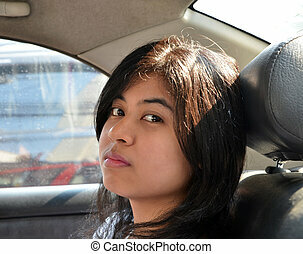 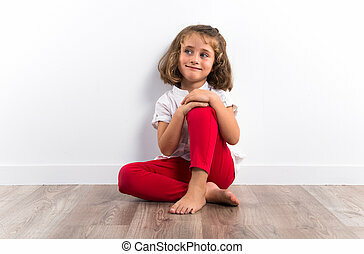 Asian girl sitting on corridor floor, dramatic interior. 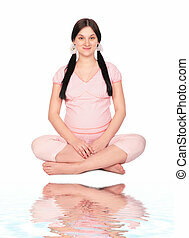 Asian Thai Girl Sitting on the Floor. 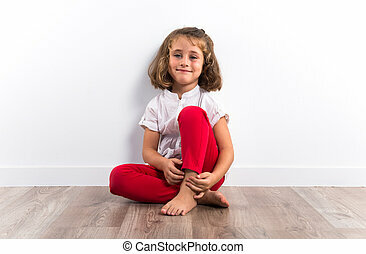 Girl sitting on the floor. 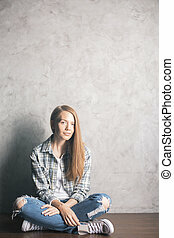 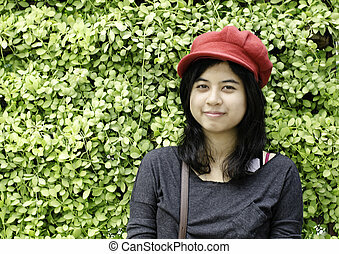 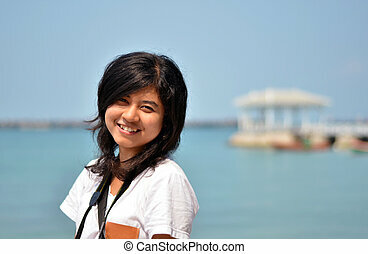 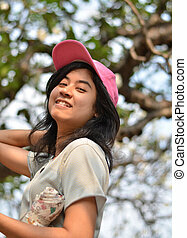 happy smiling teenage girl with the mobile phone on wood background.